When your business is small, managing your cash flow effectively is absolutely essential, In fact, it’s the key to your business survival. You’ve probably heard the statistic that over 60% of small businesses that failed were profitable, but just ran out of cash. This week and next week, we will talk about cash flow and collecting and using financial information. After a thorough review of these two instalments and some time spent with your accountant, you’ll be able to properly use the cash flow and financial information your business’s accounting system generates. So, what is cash flow? It’s basically the movement of funds in and out of your business. You can track cash flow either weekly, monthly, quarterly or annually. Negative cash flow: This occurs when your outflow of cash is greater than your incoming cash. This generally means trouble for your business, but there are steps you can take to fix it and get into positive zone. In order to pay your bills, you need to manage your cashflow - the cash coming in and cash going out. Before you can have cash flowing out, you must have cash flowing in. To understand the basic concept of cash flow, you need to distinguish between the following two oft-confused terms: cash flow and profitability. You already know the meaning of cash flow. And profitability is an accounting term that refers to the capability of your business to generate more sales rupees than the cost of operating expenses. You should know when your business will become profitable, not because it will affect your cash flow - because it won’t - but because it gives you an early goal to strive for and a ready-made target for projecting future cash flow. You must focus your efforts on managing your cash flow with an eye toward reaching that moment when you realize your first profits. So, gather data about your income and expenses and start doing breakeven analysis – searching for the no profit-no loss point. When a business is profitable, profits don’t necessarily accumulate in the form of cash. Instead, they can take the form of an increase in other non-cash assets, such as inventory, accounts receivable, equipment, or real estate. Those profits may once have been in the form of cash, but somewhere along the line, you have made the decision to shift that cash into another asset or investment. Therefore, cash and profit must be handled intelligently. Remember, for a small business like yours, cash is more important because it fuels the day-to-day operation of your business. If you’ve chosen to spend too much cash on purchasing assets or you’ve been slow in collecting your accounts receivable, you may not have enough cash to pay your vendors and compensate your employees. Ironically, some profitable businesses have entered bankruptcy because their owners made the wrong choices when allocating cash. Instead of accumulating it, they accumulated other non-liquid assets, and then, the bills came due but the tills were bare. Will I have enough cash to meet staff pay in Friday? Will I have enough cash to pay that big ABC invoice that’s due the following Monday? Will I have enough cash to pay the bank-loan payment next Wednesday, the upcoming utility bills, and the PAYE taxes that will be due at the end of the month? Questions like these, and the answers they beg, point out the need for preparing cashflow projections - forecasts of how much cash you’ll have over a given future time frame. Some businesses project cash flow for 30 days out, some for 90 days, some 180 days, and some for an entire year in advance. To project cash flow accurately, you need to polish up the old crystal ball because you’re about to make a number of important predictions. For example, you must predict your future sales. The rate at which you’ll collect the money that’s due you as a result of those sales. The Rupee amount of your upcoming payrolls. The Rupee amount of vendor invoices to be paid in the next day, week, month, six months, or even year. The better your predictions, the more accurate a forecast you can prepare. 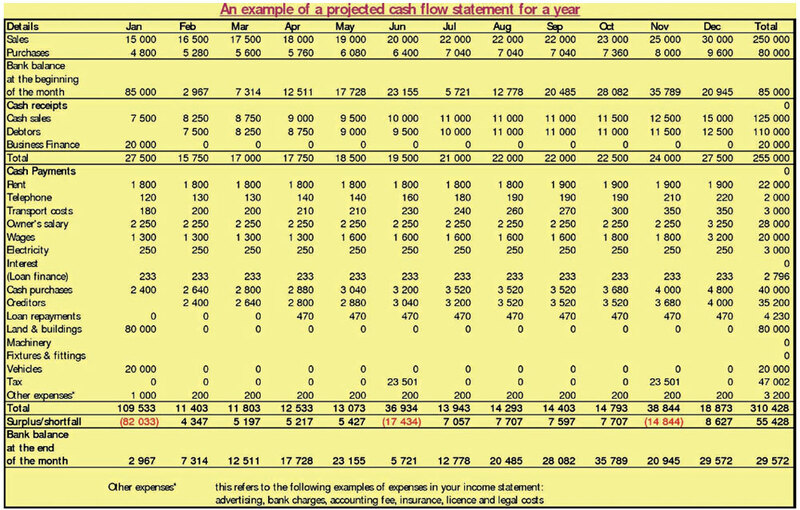 In this page, we have shown you a sample worksheet for making cash flow projections. Predictions for longer time periods, although more useful, are likely to be fuzzier and less accurate than predictions for shorter time periods. We recommend that you make your cash flow projections for at least six months out and then update them at least once each month, always staying six months out. That way, you’ll spot problem periods earlier and be able to adjust to them more quickly. Don’t let cash flow intimidate you. The concept is as simple as the concept behind maintaining a cheque book. Invoice early, collect quickly. It may also be worth changing other billing practices such as invoice frequency. Instead of waiting until the end of the month, generate an invoice as soon as the goods or services are delivered. Let us now see how to maintain a healthy cashflow in your business or start-up. There are many risks involved in running a business, and serious challenges should be expected at some point in the future. 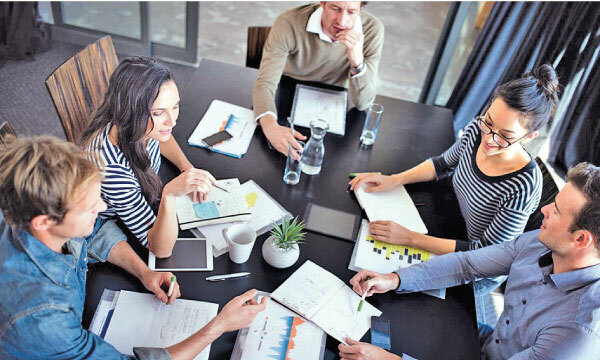 For eg., “What if that big order suddenly comes in?”; “What if the big order is cancelled?” This kind of risk analysis can become part of your cash-flow budgeting process. There are many more such aspects that you should account for while making cash flow forecasting. Analyse inventory movement to determine which items are selling and which ones are duds that soak up your working capital. Try to keep inventory levels lean so that your working capital isn’t tied-up unproductively and unprofitably. Once you find out the breakeven point, you must ensure your business has enough cash to fund your working capital needs. Its advised to keep three months’ worth of outgoings in the bank for a rainy day. If it’s not possible, make sure you have a buffer of some sort, either personal funds available or an overdraft or revolving credit facility. Keep your cash balances in interest-earning accounts, (like 7-day or 14-day call deposits) which are available at every bank. However, since interest rates on these accounts are often lower than those of certificates of deposit (CDs), or money market accounts, consider keeping the bulk of your funds in higher-paying accounts. From the very first day, have a cash flow plan because if your cashflow is in order, your profit will be in order. You might be a profitable business eventually, but you need to have good cash flow to survive. 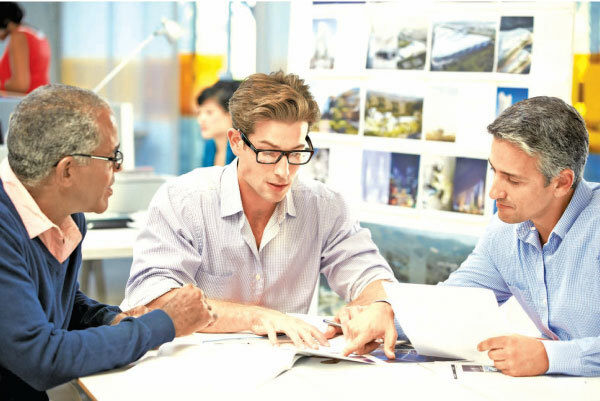 So, work with reliable, quick-paying clients initially, even if it means smaller clients and slimmer profits margins.